| British Import | Two years after The Devil`s Steed (one of the best-selling Neo-Folk albums in the last 2 years) SOL INVICTUS, aka TONY WAKEFORD, is back with a new Folk Noir album. 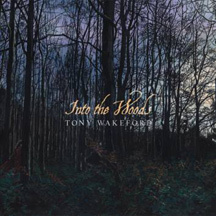 Loosely influenced by the prog records of Tony Wakeford’s youth, Into The Woods describes a weird England of the 60’s and 70’s where pockets of woodland hold out against the encroaching suburbs.A dark England of out-of-work hangmen, dubious priests and Woman’s Institute covens. Traditional Folk/Folk Noir with elements of 70’s prog and psychedelia. Recorded in London and mixed by Israeli /New York studio producer M. Guest appearances by Kris Force of AMBER ASYLUM, Reeve Malka and Guy Harries from ORCHESTRA NOIR and Caroline Jago, Andrew King and Renée Rosen of SOL INVICTUS. The CD cover artwork is by painter Richard Moult.